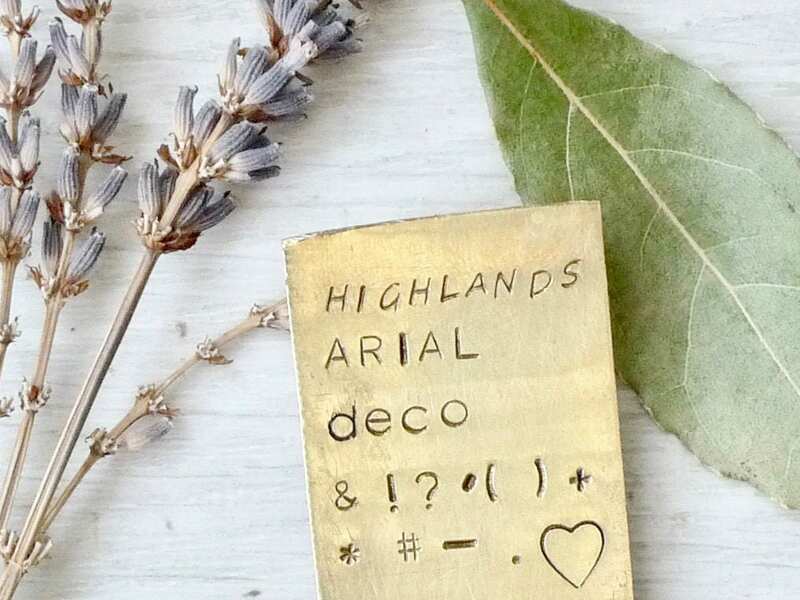 Small hand-stamped plate in aged brass or copper with your choice of initials or short word. Great for adding to a guestbook, scrapbook or keepsake box. Listing is for a plate only, book not included. 👉Include your text in the notes to seller formatted exactly as you want it stamped. There are no refunds on personalized items unless a mistake was made by the seller. 👉 Each plate is cut to size then hand-stamped with individual letter punches. 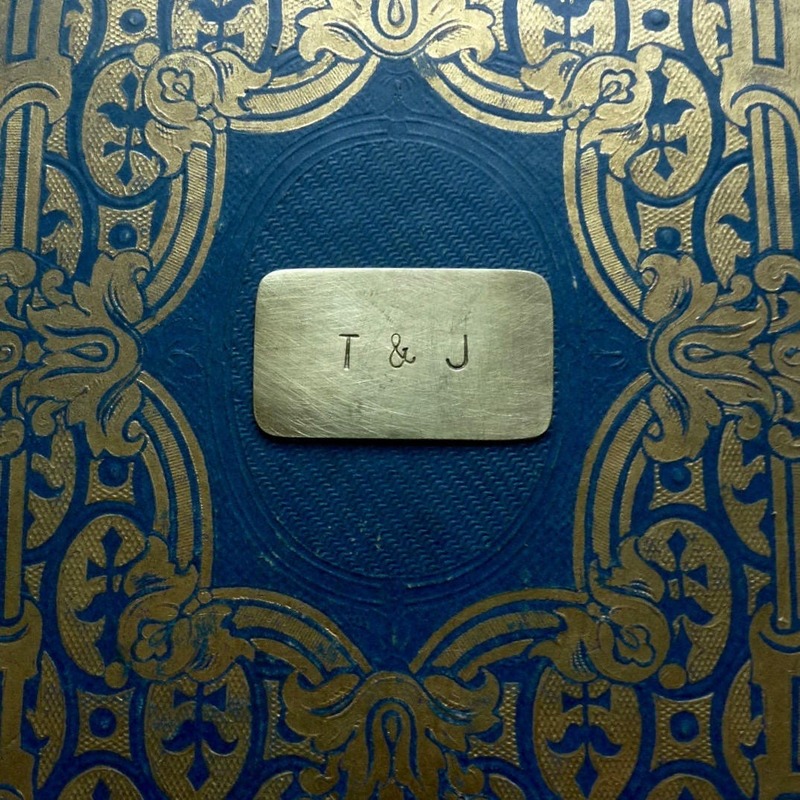 Minor variations in sizing, letter spacing and depth are part of the technique and charm of this handmade item.